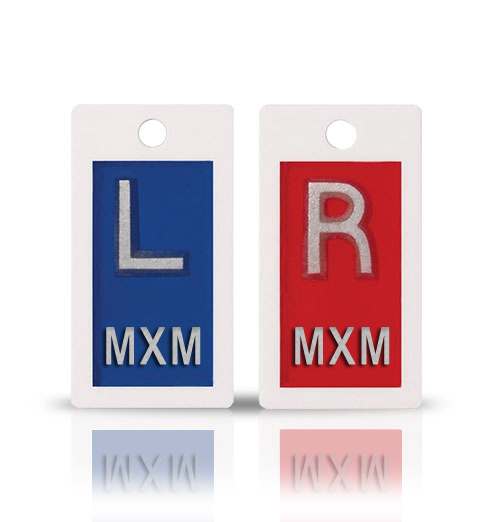 Lead Free Markers offer clear identification for all of your imaging needs while protecting the environment from exposure to lead. 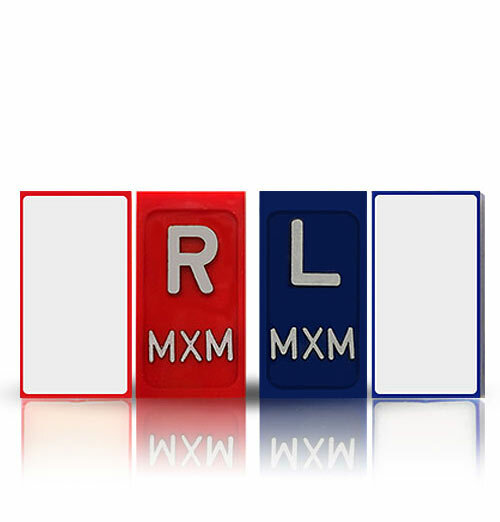 Go Green with these Non-Lead markers!. Bismuth characters are completely encased in crystal clear epoxy.The markers do not contain any lead material. 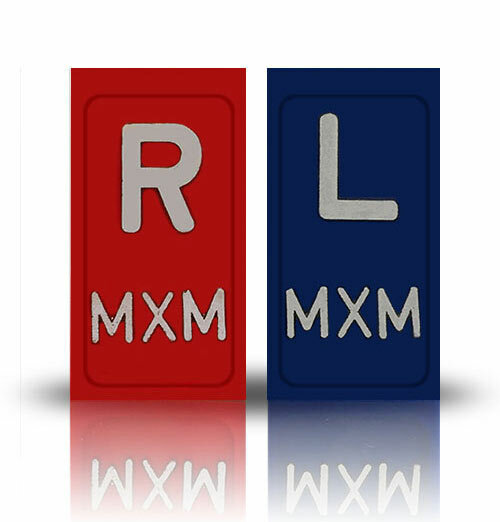 Other non-hazardous metals are used to form the characters and any applicable backing.These markers are available as two main categories, either Self-Adhesive x-ray markers or Non-Adhesive x-ray markers with either an aluminum or a tough polycarbonate backing. These Markers are available as standard set of Right and Left Markers, or just single Right or Left. 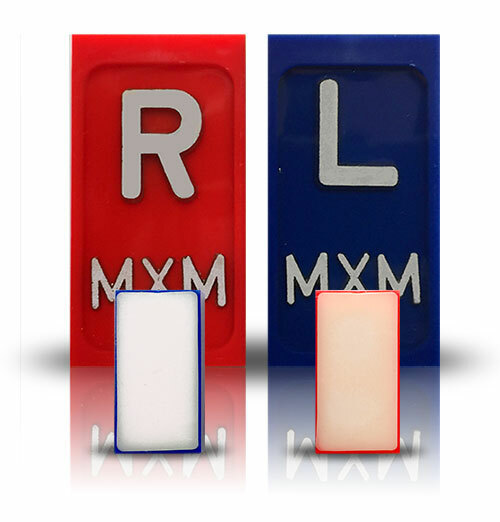 These self-adhesive lead free x-ray markers are able to attach to any flat surface, no needs of usin.. These markers do not contain any lead material. 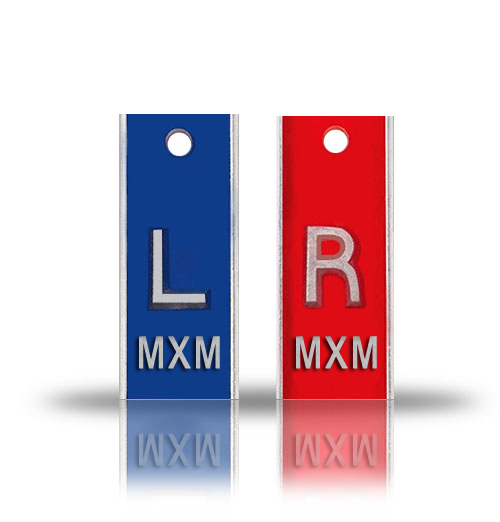 Other non-hazardous metals are used to form the char..
Lead free markers offer clear identification for all of your imaging needs while protecting the envi..